Typhoons, tsunamis, floods and even mudslides, the Asia-Pacific Region is well-acquainted with the devastation wrought by natural disasters. As populations increase among many Pacific nations, the need for disaster preparedness and response continues to grow. The US and its Pacific allies and partners frequently train together to address the growing need for readiness. When a disaster occurs, readiness can protect and restore the lives of millions of Pacific residents. Readiness is the exact reason the 13th Expeditionary Air Squadron, a joint team of US Airmen and Soldiers, traveled to Clark Air Base, Philippines. The team brought with them a ground-based satellite imagery system, called Eagle Vision, a collection manager from Joint Base Pearl Harbor-Hickam, Hawaii and geospatial and imagery anaylsts from Fort Shafter, Hawaii. The unit deployed to conduct a Pacific Air Forces Subject Matter Expert Exchange (SMEE) mission together with Philippine Air Force members. The SMEEs will focus on using geospatial satellite imagery, acquired by Eagle Vision, to support Humanitarian Assistance and Disaster Relief efforts. "Eagle Vision can move all over the world, we can set up our system anywhere and start pulling down imagery from commercial satellites," said Chief Master Sgt. Reid Tsubota, Eagle Vision Superintendent with the Hawaii Air National Guard's 154th Wing from Joint Base Pearl Harbor-Hickam. "The HADR applications of this system are incredible. In fact, this is our fourth time here in the Philippines. In 2006 we were initially supporting exercise Balikatan when the Southern Leyte mudslides occurred. Using Eagle Vision we were able to to provide the Marine Corps' first responders imagery that ultimately helped in the recovery and relief efforts," Tsubota said. During this fourth visit, Tsubota and his team of 15 Guardsmen, assigned to the 154th Wing at Joint Base Pearl Harbor-Hickam, Hawaii, will work alongside their Philippine counterparts during a series of exchanges focused on the HADR uses Eagle Vision offers. The two-week long Eagle Vision SMEE will culminate with a table-top exercise where Philippine and US military members will simulate a HADR response to a typhoon, a disaster the Philippines experiences. A series of smaller engagements will take place leading up to the simulation. These events are meant to help the military members from both nations discover ways to work better together. "The US and Philippines have been allies for a long time. HADR is one of the cornerstones of our alliance. And as history has shown us, time and time again, natural disasters will occur in the Pacific. Lives will be impacted and the U.S. and Philippines will come together to bring life-saving aid to those in need," said Lt. Col. Peter Day, the 13th Expeditionary Air Squadron's commander, leading the Eagle Vision team. "When we think about delivering aid, most of us think about medicine, food, water and so on. What we sometimes overlook is how aid gets to the people. There's a tremendous effort taking place behind-the-scenes. That's where Eagle Vision shines," Tsubota said. According to Tsubota, Eagle Vision provides decision-quality infomation. Commanders and organizations providing HADR support can use Eagle Vision's imagery for a variety of purposes including: selecting ingress and egress routes for aid; predicting the air mobility requirements of an airfield, such as viability and capacity, for receiving relief; or ascertaining the extent and magnitude of damage caused by a disaster. "Eagle Vision excels at providing accurate readings. During the Leyte mudslides we outlined before and after images of the affected area. The change detection helped direct resources to the hardest hit locations with the greatest need," said Master Sgt. Chad Tedrowe, an Eagle Vision Data Integration Segment engineer. Eagle Vision uses commerically available satellites to capture scenes. Scenes are acquired from commercial satellites SPOT6 and SPOT7 and consist of 60 by 60 kilometer swathes where each pixel represents one and a half meters of ground area. Scenes are detailed and customizable to meet mission requirements. Additionally, scenes can include data integration such as geographic coordinates or elevation down to an individual pixel level of detail. Throughout the two weeks of the exercise, US Airmen and Soldiers will exchange experiences for collecting, processing, and analyzing the satellite imagery Eagle Vision captures with their Philippine partners . The U.S. Air Force has five Eagle Vision systems. Eagle Vision is the Air Force's only releaseable unclassified, commercial deployable satellite imagery downlink ground-station. The system is operated and maintained by a variety of Air Force specialties, making it self-sustained capability with only the need to contract diesel fuel. Eagle Vision has been deployed to support Pacific HADR operations in India, Japan, Thailand, and the Philippines. A study that the US Department of Defense was expected to start last fall and has finally begun, confirmed by the Pentagon—this study and analysis will address the future needs of US MILSATCOM. 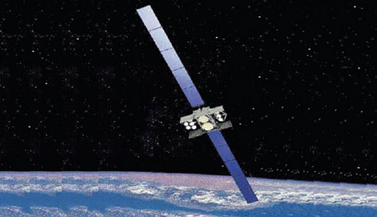 Artistic rendition of a WGS satellite. The wideband Analysis of Alternatives (AoA) study had been signed by Frank Kendall, the undersecretary of defense for acquisition, technology, and logistics as indicated by Captain Annmarie Annicelli, an Air Force spokeswoman. The program is anticipated to have a lifespan of approximately one year and is expected to be to be directed by goals and objectives of the new Trump administration. 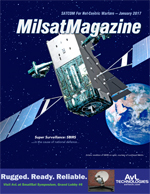 The Wideband Global Satcom program is scheduled to launch its final satellite in 2019, with the launch of WGS-10. The AoA will help the Defense Department determine what will follow WGS-10, such as the possibility of additional WGS satellites or the purchase of communications services from private companies. 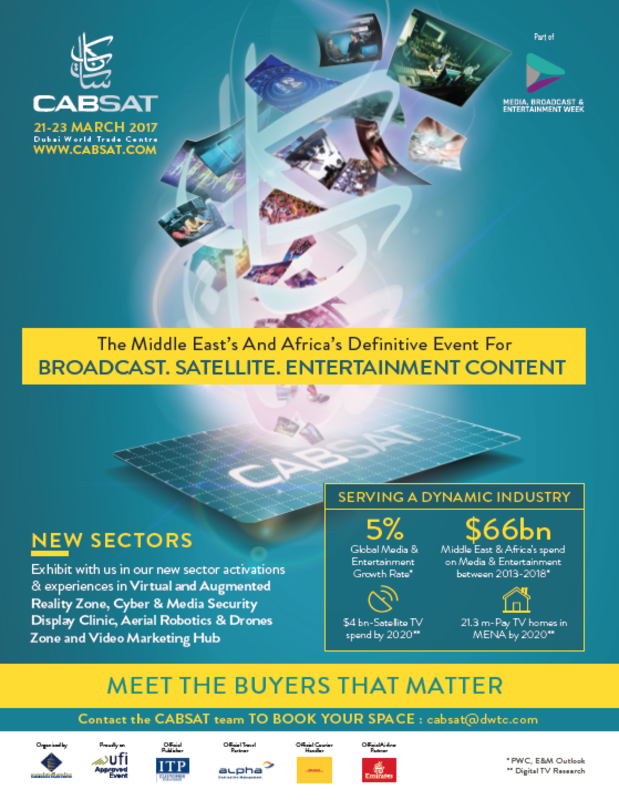 Please see the GovSat Report Insights on page 30 for more in-depth information regarding AoA. In one of the most significant tests of autonomous systems under development by the Department of Defense, the Strategic Capabilities Office (SCO) , partnering with Naval Air Systems Command, successfully demonstrated one of the world’s largest micro-drone swarms at China Lake, California. The test, conducted in the fall of last year, consisted of 103 Perdix drones launched from three F/A-18 Super Hornets. 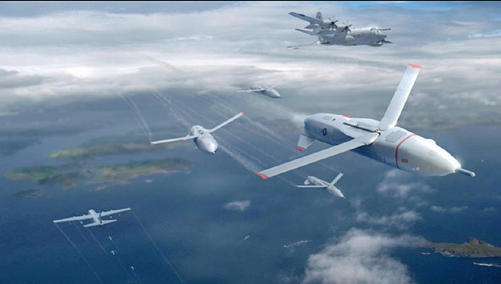 The micro-drones demonstrated advanced swarm behaviors such as collective decision-making, adaptive formation flying, and self-healing. Roper stressed the department’s conception of the future battle network is one where humans will always be in the loop. Machines and the autonomous systems being developed by the DoD, such as the micro-drones, will empower humans to make better decisions faster. Originally designed by Massachusetts Institute of Technology engineering students, the Perdix drone was modified for military use by the scientists and engineers of MIT Lincoln Laboratory starting in 2013. Drawing inspiration from the commercial smartphone industry, Perdix software and hardware has been continually updated in successive design generations. Now in its sixth generation, October's test confirmed the reliability of the current all-commercial-component design under potential deployment conditions—speeds of Mach 0.6, temperatures of minus 10 degrees Celsius, and large shocks—encountered during ejection from fighter flare dispensers. 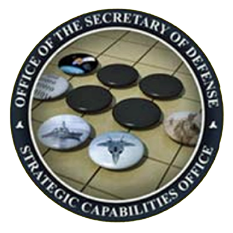 As SCO works with the military Services to transition Perdix into existing programs of record, it is also partnering with the Defense Industrial Unit-Experimental, or DIUx, to find companies capable of accurately replicating Perdix using the MIT Lincoln Laboratory design—the SCO's goal is to produce Perdix at scale in batches of up to 1,000. Norsat International Inc. has received an approximate $3.3 million order for their GLOBETrekker 2.0 portable satellite terminals from a US Combat Support Agency supporting the US Department of Defense and Intelligence Community. 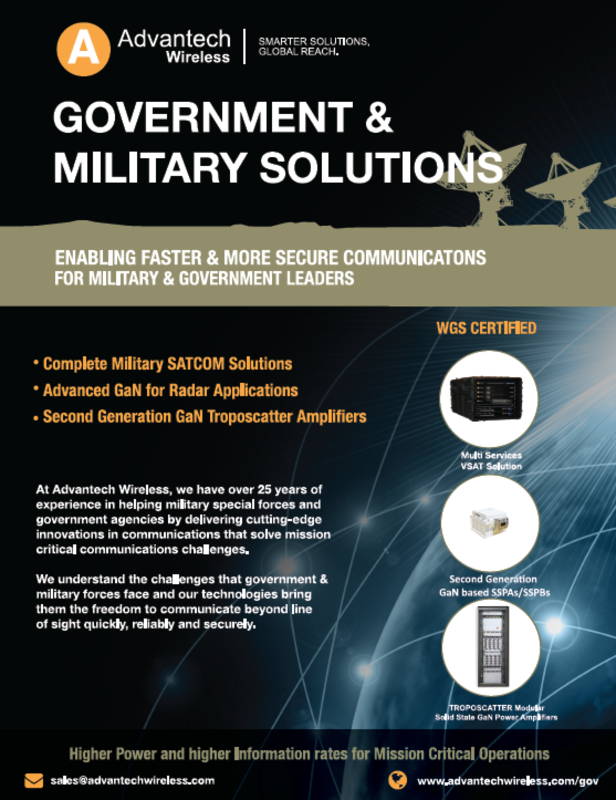 The GLOBETrekker 2.0 is an intelligent fly-away satellite terminal with unsurpassed reliability, advanced auto-acquire technology, and a flexible deployment platform. A simple one touch interface and the LinkControl™ software allow for automatic satellite acquisition so less experienced operators can easily use the system while multi-tasking on other field operations setup tasks. The customer, who has worked with Norsat previously, selected the GLOBETrekker 2.0 terminal due to the functionality of our built in spectrum analyzer, the ruggedness of the unit, the sunlight readable display and LinkControl profile which makes the system very easy to use. Norsat expects to start the shipments of the terminals during the 1st half of 2017.